Susan Hubbard is one of the Newspaper's video editors. She writes for News and Activities as well as the People department. Her favorite thing to do is track and field and weightlifting. 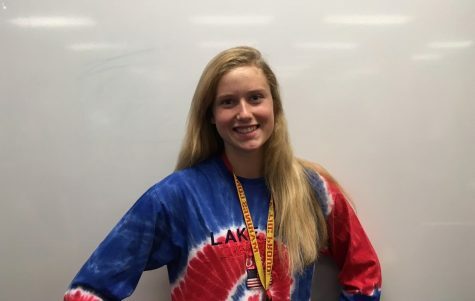 She dedicates her time to Link Crew, NHS, speech, Key Club, and Dollars for Dreams. She also loves sports and her favorite thing to do at night is play a competitive round of yard games.